Home / Martial Art / Sports / KARATE!!! 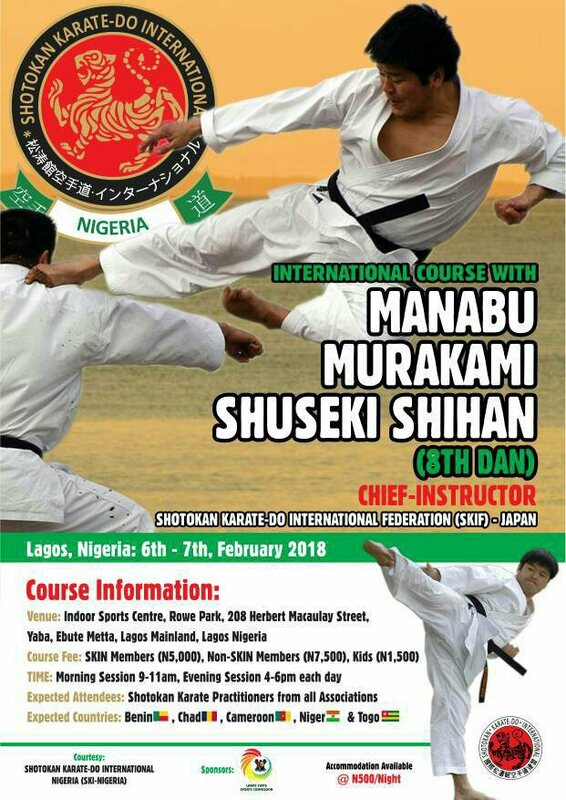 Japan comes to Lagos - 2days Course with Shihan Manabu Murakami. KARATE!!! 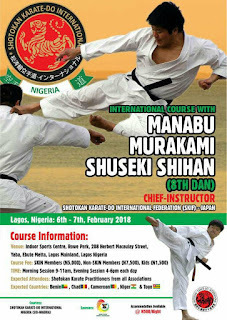 Japan comes to Lagos - 2days Course with Shihan Manabu Murakami. Get ready for 2days unusual International Course with Shian Manabu Murakami, as he comes to Nigeria for the first time. in 1988, 1991 and 1994. He was born October 1966. 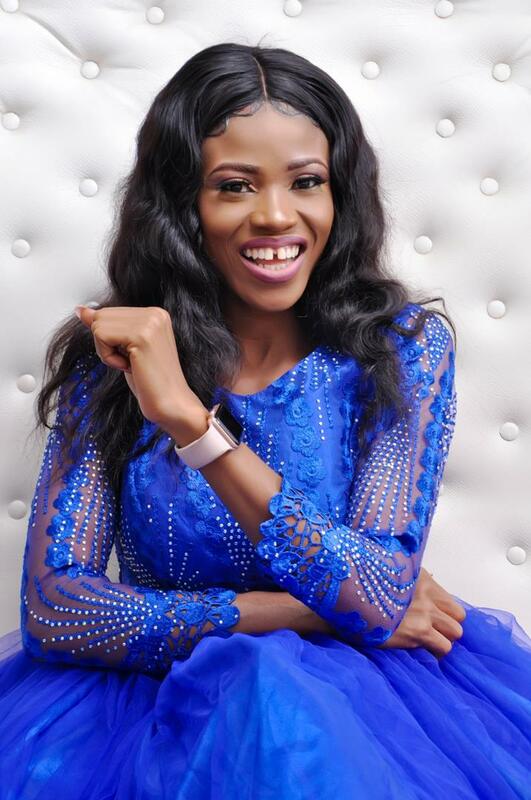 The 2days International Course with Shian Murakami will take place on the 6th and 7th, Tuesday and Wednesday respectively at the Indoor Sports Hall, Lagos State Sports Council (Rowepark), Casino, Yaba Lagos. Each day will include 2 sessions: 9am – 11am and 4pm – 6pm. Expected to attend are all Shotokan Karate Practitioners. 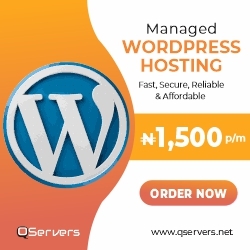 Expected Countries are: Benin, Chad, Cameroon and Togo.